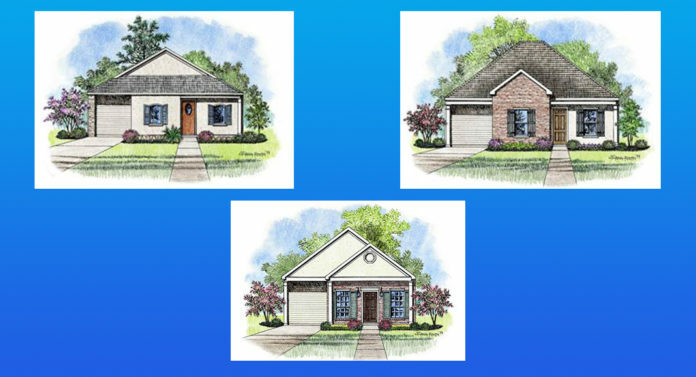 Investar Bank broke ground Tuesday on three previously announced houses in north Baton Rouge as part of the bank’s push to increase homeownership in the historically underserved area. Mayor Sharon Weston Broome touts the bank’s plans as a way for companies to drive economic development. Investar plans to provide grants and access to new mortgage products as the homes are finished and put on the market. The houses will each have approximately 1,350 square feet of living space and approximately 1,766 total square feet. They will also have an open floor plan, 10-foot ceilings, a covered two-car carport and a fenced backyard. Construction on the first two homes is schedueld to be completed by summer 2019. A year ago this week, Investar Bank announced it had purchased the land in north Baton Rouge.